As he weaves in and out of traffic in New York City on a Friday afternoon, David Itzkowitz has two things on his mind: Shabbat and beer. Beer because Itzkowitz, 26, is a co-founder of Lost Tribes, a beverage company that makes microbrews derived from ancient recipes held dear by Jewish cultures from exotic parts of the world. And Shabbat because Itzkowitz, an observant Jew, still has a few deliveries left to make before sundown. 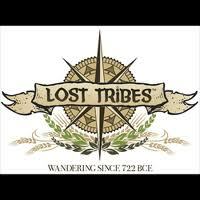 The idea behind Lost Tribes, which is less than a year old, was born in 2009 when three of the company’s five founders ventured to Israel to learn more about the country’s budding microbrewery industry and come up with ideas for their own beer. They spent a lot of time with Jews that some say hail from the 10 lost tribes of Israel — Ethiopian Jews, said by some to be descendants of the Tribe of Dan, and Indian Jews, said by some to be from the Tribe of Menashe. The three collected recipes, took notes and, upon their return stateside, began working with a brewmaster to test the recipes and develop the beers for commercial sale.